We’re welcoming our favorite season with a Sale on our favorite cut of meat! Fall is here and Tenderloin is on Sale! Come take advantage of the savings and enjoy an exquisite special occasion or anytime meal! 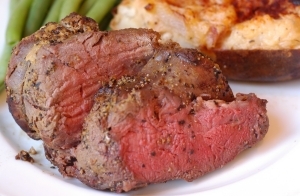 Pair your Tenderloin with our Twice Baked Potatoes. Ask your Butcher for cooking tips and seasoning suggestions!